This is the third post in a comprehensive series on How to advertise your restaurant on Facebook. Lookalike Audiences are a way to reach new customers who are likely to be interested in your restaurant because they’re similar to customers you care about and have identified in your custom audiences. While you can base your Lookalike Audience on people who like your Page, we recommend using your custom audiences based on customer lists or tracking visits to your website. In Part 1 Building Your Custom Audiences you saw how you can create several audiences based on customer lists and by tracking customer visits to specific website pages. 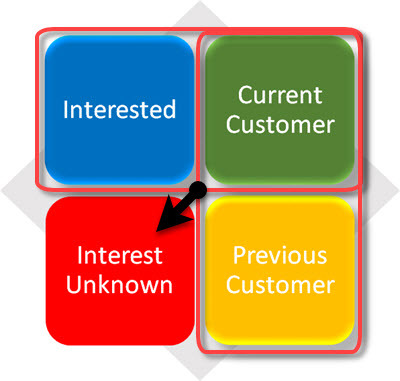 Below are restaurant custom audiences that you can develop based on your current current customer lists and website tracking. For single unit restaurants or small chains with custom audiences of less than 1,000 people consider creating one custom audience that combines all of the ways customers have connected to your business. You can create a custom audience that combines all of your individual custom audiences into one larger audience so it will exceed Facebook’s 1,000 person minimum to create a lookalike audience. Chains with 25+ locations will typically have thousands of people represented in each custom audience. You can combine audiences to create one large aggregate audience or work with the individual custom audiences like Online Ordering. Your Online Ordering customers may have demographic and interest characteristics that are different than your average customer that is represented in your aggregate customer list. Keep in mind your goal with all audiences is to create targeted audiences of new customers that you can advertise to get them to try your restaurant. Your existing custom audiences all represent people that already know about your business. Using Lookalike audiences you are using the people that already do business with you and defining a targeted group of people with similar interests and demographics. When should you use Lookalike Audiences? Use Lookalike Audiences when your custom audiences are representative of your current customers. For example if your email club list is an active list and you are confident it includes a representative sampling of current customers, this would be a good custom audience to use to create a lookalike audience. Should you use your Facebook page for a Lookalike Audience? Just like with your email list, if your Facebook page is representative of your current customers then use it to create a lookalike audience. For many restaurants new like growth has been very slow over the past few years. Also, for larger brands your Facebook page may have captured likes from many people that are not customers but have liked the page for other reasons. In these cases your Facebook page may not be the best representation of your current customers and should not be used to create a lookalike audience. How is your Facebook Lookalike Audience created? Facebook will look at the demographics and interests of the people in your current audience and then find the people who “look like” your source audience in the country you choose. When you create your custom audience you can select how closely you want to match your source audience. For example, audience size ranges from 1% to 10% of the total population in the country you choose, with 1% being those who most closely match your source. We recommend focusing on the smallest audience (1%) to get the closest match to your current audience. Clearly you do not want to target a lookalike audience for the United States when your restaurants are located in the suburbs of Detroit. When creating your ad you will be able to target the geographies around your specific location(s). We recommend targeting a radius around your business that represents 80% of your current business. There are a number of ways to target geographically beside radius including postal codes, city and DMA. For example, you may find that you restaurant is located by cities that you do not want to target. Instead of using radius around your location target specific cities or postal codes to target the exact geographies you want. Should you narrow your lookalike audience with more targeting? Keep in mind that Facebook has already created an audience that closely matches your current audiences demographics and interests. With the exception of geographic targeting for the reasons mentioned above, we recommend using the recommended lookalike audience before narrowing your audience further. If your lookalike audience is extremely large you can consider narrowing the target further. If you have analyzed your audience using Facebook’s Audience Insights you may find that certain age ranges or sexes are heavily represented in your current audience. You can narrow your audience using that information. It is best not to guess at what demographics to narrow your audience but instead use the data to make an educated guess. Yes, you can target multiple Lookalike Audiences in a single ad set. The ad set will target your ads to people who are in any of the selected Lookalike Audiences. If your goal is to target only new customers you can use exclusion targeting. When creating the ad set specify the custom audiences of your current customers to be excluded. Facebook will only show the ad to the people in your target lookalike audience and will exclude your current customers from seeing the ad. Exclusion targeting is important when advertising an aggressive coupon offer to get customers to try your restaurant. Exclude your current customers so they will not see the ad. Be sure to use Facebook’s “dark post” feature. A dark post is an unpublished page post that will not display on your Facebook page timeline and will also not show up organically in the news feed of your Facebook fans. In Part 4: How to advertise on Facebook – Custom Audiences – Targeting Specific Interest we will look at how to segment your current customers even further to create targeted Facebook Ads to smaller audiences with specific interests.